“Volt Rush”, the new video from the San Diego-based trio EARTHLESS, can be seen below. The clip, which is set in EARTHLESS‘s hometown, as well as neighboring Oceanside, was directed by skateboard/visual artist BB Bastidas and features the famed SoCal skateboarder T-Spliff (a.k.a. Taylor Smith). 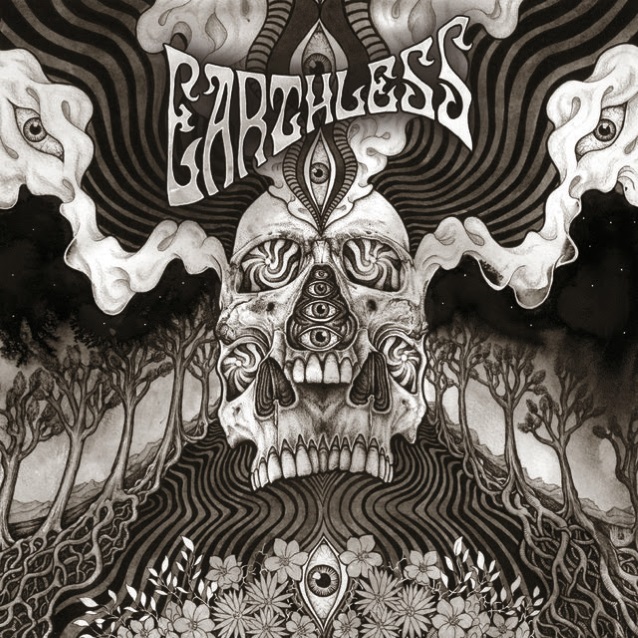 “Volt Rush” is taken from EARTHLESS‘s new full-length album, “Black Heaven”, which was released on March 16 via Nuclear Blast. The disc was recorded at Rancho de la Luna in Joshua Tree, California with Dave Catching (EAGLES OF DEATH METAL) handling production. “Black Heaven” marks a shift for the band, with four of the six songs featuring vocals whereas earlier albums only occasionally had vocals.